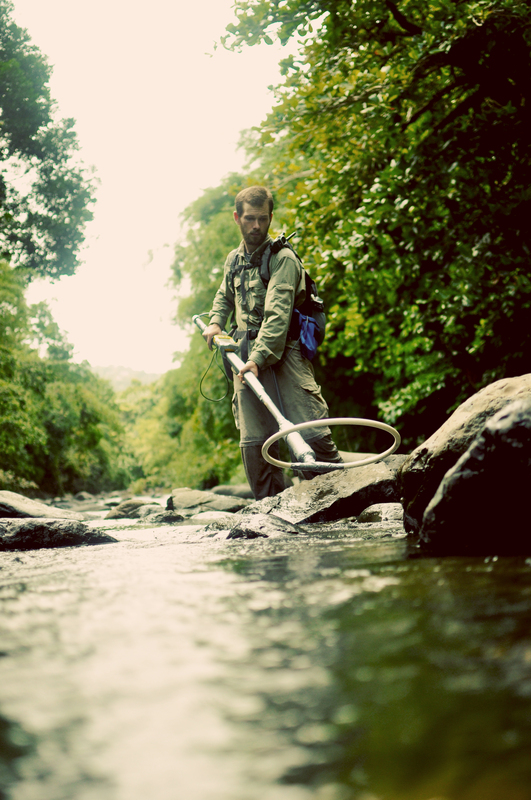 Colin Phillips, a postdoctoral fellow in the Department of Civil and Environmental Engineering, received the NatureNet Fellowship from the world’s leading conservation organization, The Nature Conservancy. Phillips is spearheading a project and partnership wherein Northwestern University researchers are bringing new understandings to the management of large river systems in collaboration with The Nature Conservancy. The NatureNet Fellowship will yield tolls to assess how climate change, land development, and hydropower development alter the timing, magnitude, and duration of river flow and sediment erosion. Phillips developed the winning proposal along with his Northwestern mentors: Aaron Packman, Professor of Civil and Environmental Engineering and Director of the Northwestern Center for Water Research, and Daniel Horton, Assistant Professor in the Department of Earth and Planetary Sciences and principal investigator in the Climate Change Research Group at Northwestern. The NatureNet Science Fellows Program is in its third year, pushing conservation science into new areas that embrace existing and emerging technologies and disciplines. NatureNet Science Fellows work on groundbreaking research to address challenges at the interface of climate, conservation, business, technology, and people. The fellowship focuses on Colombia’s Magdalena River Basin (MRB), which produces 80 percent of the country’s gross domestic product and generates 75 percent of the country’s agricultural production. The area is home to abundant native plant and animal species, and is the main source of drinking water for 48 million people. In addition, the Magdalena River is the cultural heart of Colombia. Phillips will analyze existing data from the region to better understand how the river flow influences natural habitats on land and water. “One of the unique things in Colombia on the Magdalena River is that this river has almost a continuous connection with its floodplains—large wetlands that sustain a lot of biodiversity on either side of the river called cienegas . . . and in a sense they are being vastly undervalued,” said Phillips. While existing models are adept at using annual metrics of river flow—information that contributes to calculations on the economic value of the system—they are unable to incorporate the variability of the flow and related sediment movement which are important to the health of the cienegas, according to Phillips. “Part of what we are doing is trying to understand the connectedness of the network and also, if climate is going to change [in this region], how is that going to affect the variability of the flows.” As the Conservancy moves ahead with local partners to develop a sustainable management plan for the region, particularly in the face of threats from a growing human population and a changing climate, this fellowship work will offer essential insights and tools for ongoing evaluation. To read the full article by Northwestern’s Institute for Sustainability and Energy, click here.